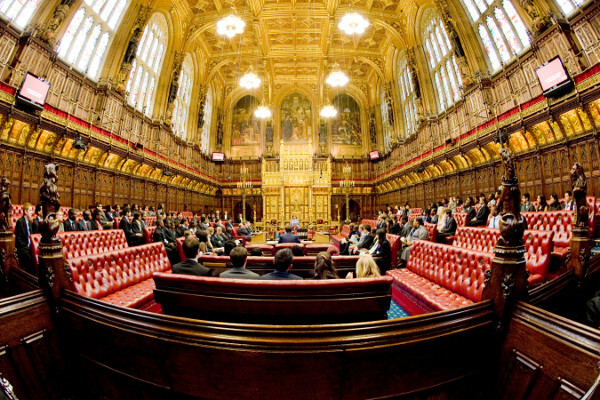 Why did the Lords reject trade union reforms? It was a day of humiliations for the Government. George Osborne’s budget statement clearly demonstrated that the ‘long-term economic plan’ is disintegrating. Across the hall, the Government was decisively defeated in the House of Lords in three separate votes on the Trade Union Bill. The legislation must now return to the Commons with its tail between its legs. The Government insists it will stick to its guns and force the bill through, but we may be looking at another Tory rebellion. But what were the defeated proposals, and why were they so controversial? At present, Trade Union members automatically pay into their unions’ political funds, but can opt-out if they wish. The Government wanted to invert the scheme, requiring members to opt-in — in writing — every five years. While they claim to be fulfilling their manifesto promise of making union levies more transparent, Labour predicts that the move would reduce its funding by up to eight million pounds a year. The measure has been accused of being partisan and divisive, and risks starting a war over party funding. Its critics have included senior Tories, some of whom are believed to have voted against the Government in the Lords. This was the Government’s heaviest loss, with Peers voting 320 to 172 to limit the measure to new members, and allow a 12-month transition period. The Government’s proposed ban on allowing electronic balloting for votes on strike action also suffered a crushing defeat, of 320-181. The bill would require members to vote by post, which critics dismiss as out-of-step with modern life. Across a range of organisations — professional bodies, campaign groups, political parties or private clubs — electronic balloting has been used to increase voter participation. None of these groups face the kind of legal restriction being proposed for Trade Unions. The measure is particularly controversial because it is proposed in tandem with a requirement that votes on strike action meet a participation threshold of 40 per cent, suggesting that the Government is attempting to covertly undermine the right to strike. The Peers also called for amendments to the bill’s provisions on capping facility time, which refers to the paid time that union representatives receive from their employers in order to perform their union duties. Conservative hostility to facility time in the public sector has been brewing for many years, centred on the idea that sending union reps to ‘seaside conferences’ is an unjustifiable burden on the taxpayer. On this, Labour and union leaders have accused the Government of ‘union-bashing’, since their claim suggests that facility time is non-productive and of no benefit to businesses or departments. In fact, the TUC has found that every pound spent on facility time saves the taxpayer £2.31, since strong union representation improves staff retention, reduces illness and boosts industrial relations.